The secret, as writer James Clear details on his blog, to taming a lion isn’t submission. Rather, it’s confusion. This is precisely the reason that Net Promoter Score is such an effective tool. In other words, the goal isn’t to “tame” your customers but rather to set them free. While most customer satisfaction surveys ask dozens of questions probing around for specific data, the answer to one simple question is all that’s needed for Net Promoter Score to work. Instead of diluting the results and discouraging would-be participants, Net Promoter Score hones in on one very important metric — one that is correlated closely with growth and revenue. How likely is it that you would recommend our product to a friend or colleague? Asking the question is just the beginning, but you get the idea. Focus on improving one number and the rising tide will lift the ship. Participants respond with a number on a scale of zero to 10. Customers who record a nine or 10 are labeled promoters. Those who respond with a seven or eight are called passives, and those who answers six or below are detractors. The Net Promoter Score is calculated by subtracting the percentage of detractors from the percentage of promoters. It ranges from -100 to 100, and fluctuates as businesses improve their product, customer support or marketing. In this post, I’ll dive into each area with suggestions to help you get more and better data, and get to work improving your business. There are a number of ways to collect NPS data. For starters, you can use email surveys to reach out to customers. While these are common, they aren’t necessarily effective. Email is often associated with sales and promotion, and with industry click-through rates hovering around four percent (source), it can be difficult to get a large sample size. The key to better response rates — and therefore better measurement — is removing as much friction as possible. Email surveys and disruptive pop-ups can work, but building Net Promoter Score surveys directly into your product makes the process seamless. 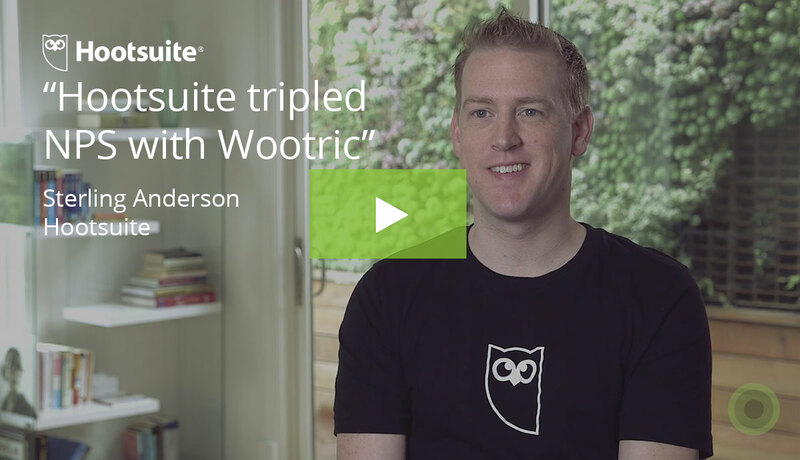 SaaS companies (or honestly any business with an online customer) have the opportunity to include Net Promoter Score surveys in-app or in-product with tools like Wootric. This makes it easy to match data to customers, send follow-ups and effortlessly track Net Promoter Score over time. It also means that previously difficult tasks like user segmentation and survey sampling can be automated, building customer happiness directly into the product. Beyond the ease of use, the feedback is actually more accurate because it’s in context. A small sampling of users is constantly being surveyed, meaning you have a constant stream of the best data available. The initial rush of data collection is exciting. But as you start learning about your customers, you should immediately start building a process to follow-up with them. You’ll begin to notice trends right away. Detractors, for example, might be upset that your app’s uptime is lagging. This is information that needs to make its way to the engineering team who can address the problem. Seth Godin calls this active listening, and it’s a trait of nearly all successful businesses. Active listening … requires that you interrupt when you need a clarification, and it requires that you ask a truly difficult question when the speaker is finished. If it’s worth listening to, it’s worth questioning until you understand it. It takes time to collect enough data to reach critical mass. If hundreds of customers complain about your customer support, it’s likely time to steer the ship in a new direction. 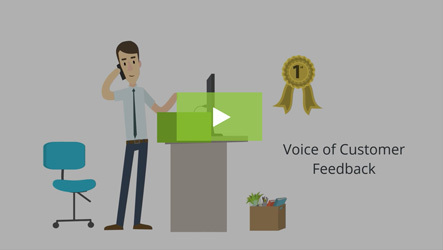 Until you get there, you’ll hear many one-off comments and questions from your customers. It’s extremely important to address these as they arrive. Here are a few ways to handle customer feedback before you make organizational changes based on trends. Send a personal response. As investor Paul Graham wrote in his famous post Do Things That Don’t Scale, listening to customers and sending responses are examples of things that “seem both laborious and inconsequential.” A personal touch means a lot to your customers, regardless of how big your company is. Goodwill adds up. Create segments from the beginning. As responses come in, start tagging your customers according to their response. A few example buckets might be ‘customer support,’ ‘missing product features’ and ‘existing product issues.’ Creating segments early on will make following up later much easier. Make your promoters feel special. Customers who love you and are willing to tell their friends should be treated like royalty. Consider offering them early access to new features, discounts, or access to additional resources. Make an effort to engage with detractors. One common reason that detractors are frustrated with you is that they feel misunderstood or ignored. A simple email from your team could be all that’s needed to change their mind. 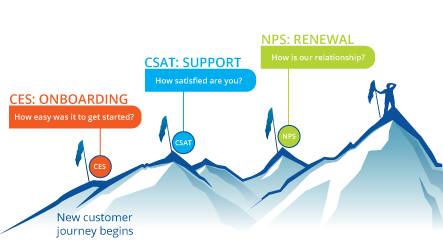 Automating your NPS measurement will help you manage the flow of responses so you don’t get overwhelmed, but you do need to be prepared with an action plan to address feedback before you start surveying customers. Insight: What Should We Look For? In a closed-loop feedback system, outputs are re-entered as inputs. This creates continuity, which is key to the growth most businesses are after. By surveying your customers, you’ve started a loop that must be closed in order to improve. Both feedback and action are expected. 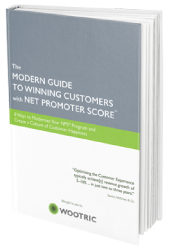 The beauty of the Net Promoter Score is that there is only one true number. But without action, it is only a number. For example, we recommend asking a follow-up question to respondents based on their answer to the first question. If a detractor answers with a zero, you might simply ask why. If a passive customer indicates a seven, you could ask how you could improve. The result of this is a mix of quantitative — your actual Net Promoter Score — and qualitative data — the stream of comments, responses and anecdotal feedback triggered by the surveys. The quantitative data is a guide, like a compass letting you know if you’re moving in the right direction. The qualitative data, which may appear in the form of angry customer comments or glowing testimonials, is the gas the keeps the engine running. Look here for feedback on the specific actions you can take to improve, and let the score itself be your measuring stick. While we’re on the topic of measurement, it’s important to note that it’s best to measure your own score against past scores rather than a competitor’s score. Upward trends are the goal, and while tempting, comparing your Net Promoter Score to a competitor’s won’t help you drive improvement. This is a case where the comparison is truly apples vs. oranges. In addition to monitoring the movement of the your Net Promoter Score, look for triggers. Did a new hire improve the customer support experience? Did a new feature result in more promoters? Identifying the triggers is just as important as moving the needle. A Net Promoter Score and a pile of comments isn’t worth a dime if you don’t plan to put them to work. There are a three very common areas that you’ll likely need to address. Here are a few ideas to start using feedback to inject change in each department. Product development: Keep a close eye on feedback related to your core product. Are there requests for new features or suggestions for improving existing ones? Also pay attention to comments regarding IT issues like uptime and speed which can be real difference-makers in the technology world. The customer is always right, or they won’t be your customer for long. 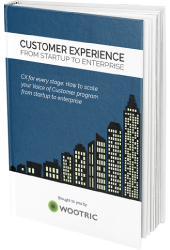 Customer success: The goal of your support team is to ensure a great experience. This means positive interactions between customers and team members are vital. Detractors and passives in this area should be given special attention as bad press about your customer experience can spread quickly. Marketing/Growth: According to Nielsen, a full 92 percent of consumers trust recommendations above all other advertising. Your promoters are an opportunity for growth. Use this opportunity to ask for testimonials, encourage social sharing and institute a referral program. Action closes the feedback loop but it’s not the end of the cycle, which is ongoing in every organization that truly values customer feedback. Most organization are reactive when it comes to customer success. When a chorus of customers reaches critical mass, they adjust just enough to ease the negative attention. That’s an old-school way of thinking. You have the tools and resources to build feedback and satisfaction directly into your business model. Don’t let the opportunity go to waste. Jessica Pfeifer, Co-founder of Wootric, has on-boarded and coached hundreds of businesses on in-app measurement of Net Promoter Score.